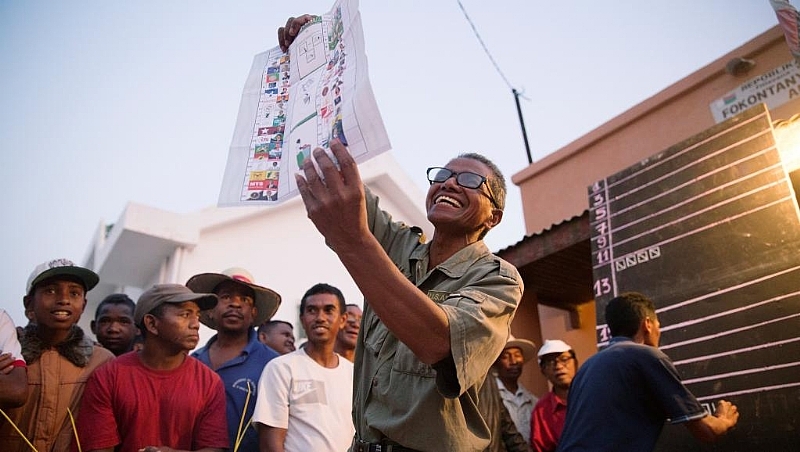 Partial results in Madagascar's presidential race showed former presidents Andry Rajoelina and Marc Ravalomanana neck and neck as election officials counted ballot papers on Thursday. This election came after the outgoing president Rajaonarimampianina's attempt to change voting laws – which observers say would have excluded Rajoelina and Ravalomanana – led to three months of protests earlier this year. Rajaonarimampianina gave in to voters' demands by calling Wednesday's vote. “This is part of a very long history in Madagascar of incumbent governments trying to draft laws that are very clearly aimed not at restricting democracy, free speech or political participation in general but by judicially blocking one individual who may be seen as a threat,” said Paul Melly, a Madagascar specialist at Chatham House in London, in an interview with RFI. Officials say that voting went peacefully, without any incidents. Rajaonarimampianina on Thursday alleged that "many voting irregularities" pointed to fraud in this week's election, heightening fears of a disputed result. Several candidates have been accused of attempting to buy votes by giving out goods like T-shirts, sewing machines and even floor tiles. However, “this kind of thing is par for the course,” Melly argued. “In Madagascar, at the top level of politics, there is a history of very large scale corruption and lavishly funded elections,” he concluded.